TORONTO — The Art Gallery of Ontario (AGO) has acquired the renowned Malcolmson Collection, a grouping of 268 vintage photographic works by 110 significant 19th- and 20th-century artists. The acquisition was made possible through a donation of photographs by Ann and Harry Malcolmson and a private donation. The Malcolmson Collection is regarded as one of the most important collections of historical photography in private hands in Canada and has been exhibited in Vancouver in 2009, and in Toronto in 2012. The Malcolmson Collection spans the history of photography from inventor William Fox Talbot to Robert Frank and includes representative photographs from each of the significant periods and styles of the history of the medium. 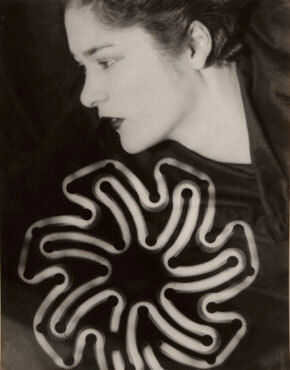 It also highlights photographers known for creating a uniquely photographic visual language, including Eugène Atget, Julia Margaret Cameron, Edward Weston, Man Ray, László Moholy-Nagy, Aleksandr Rodchenko, Harry Callahan and John Vanderpant, regarded by the Malcolmsons as Canada’s most important photographer of the modernist period. The Collection’s importance and special character derives from the decision made by Harry and Ann Malcolmson in the 1980s to refocus their 30-year association with contemporary art—including Harry Malcolmson’s stint as an art critic—to explore the unknown territory of historic photography. The Malcolmsons have donated more than 50 works to the Gallery over that time, including paintings, prints and photographs—most notably the 1856 seascape by Gustave Le Gray, Le Soleil couronné, which was the first work by the artist to enter the AGO’s collection. Offering visitors their first glimpse into the Collection, select works will be on display at the AGO from May 1 to Sept. 14, 2014. Further details will be announced in the new year.